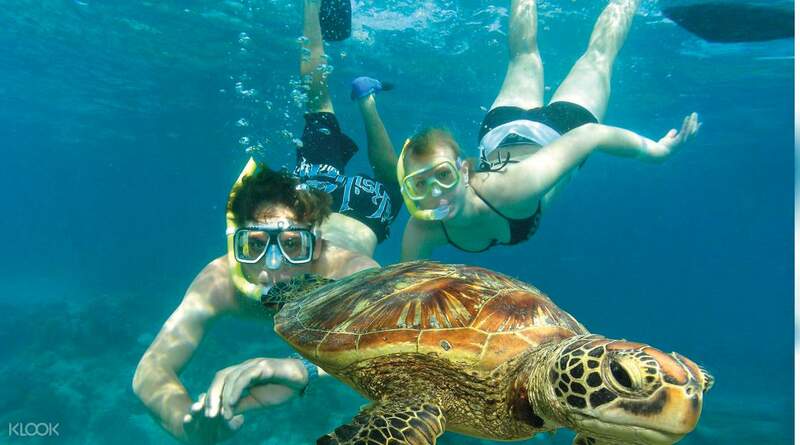 Snorkel in the crystal clear water or go on a glass bottom boat tour - keep an eye out for turtles! The glass bottom boat is worth to ride. You can see many different kinds of fishes. The only concern is you can’t choose the time for the boat ride. They will assign for you. Ours were right after getting of the cruise which was good and time-saving. 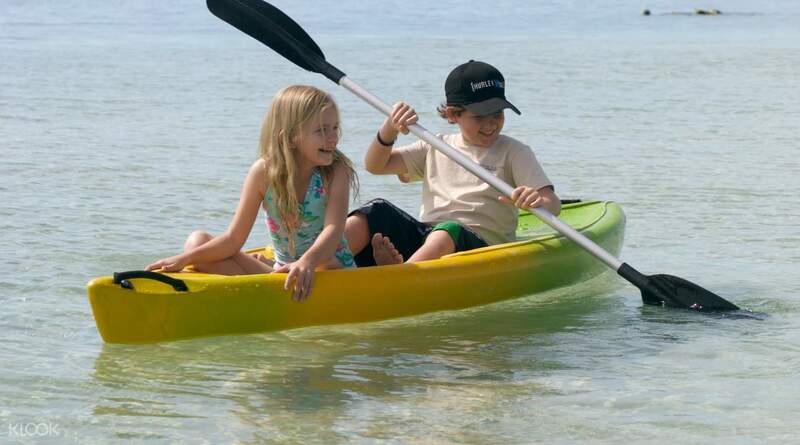 There is full freedom with this eco adventure to Green Island, with three departure times and multiple activities to choose from when you get there. 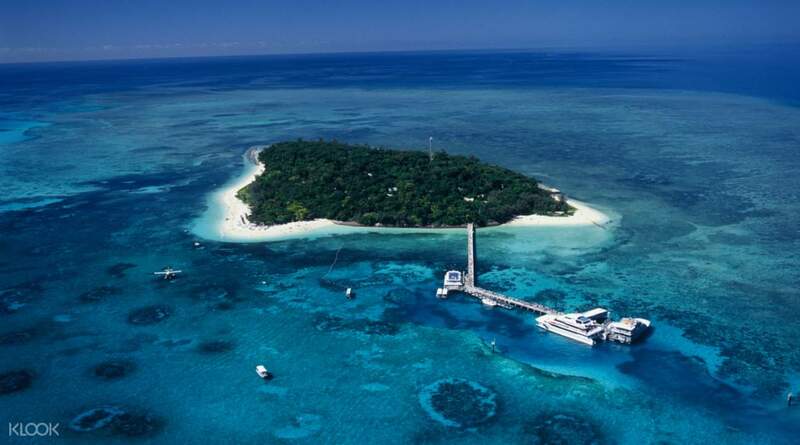 Departing from Cairns you'll head to Green Island on a high-speed luxury catamaran cruise before diving into the turquoise waters to try out snorkeling, or boarding a glass bottom coral viewing tour to watch the sea life below you. 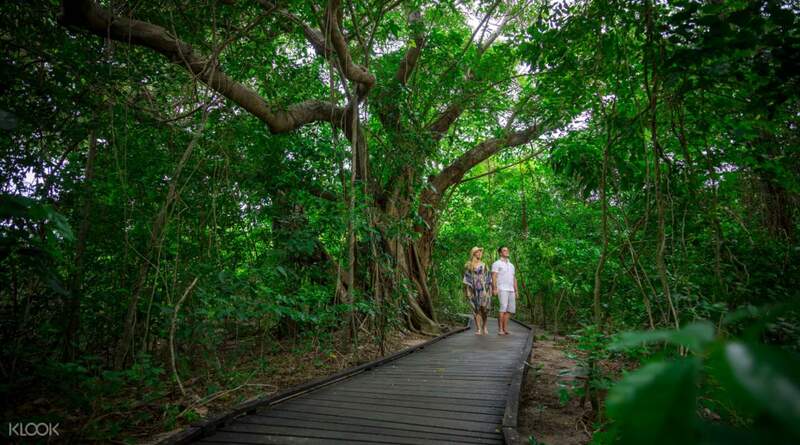 Once on the island you can relax by the beach or swimming pool, snorkel and swim in the ocean or take a stroll through the self guided Eco Island Walk. Whether you have half a day or a full day, you can explore this unique island, the only coral cay on the Great Barrier Reef with a tropical rainforest growing on it, at your own pace! 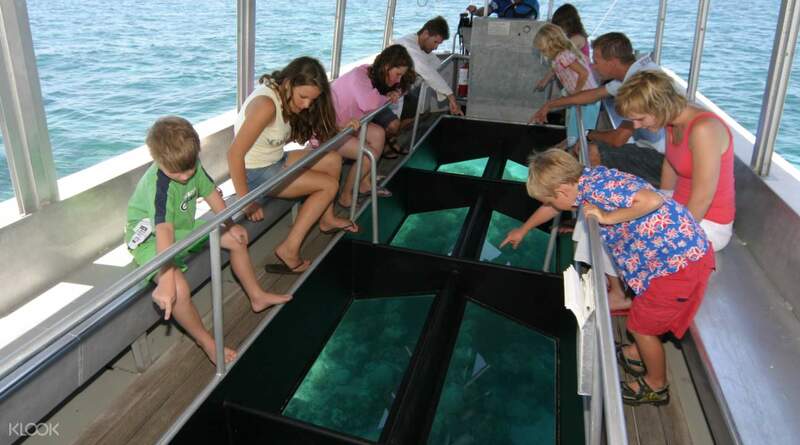 The glass bottom boat is worth to ride. You can see many different kinds of fishes. The only concern is you can’t choose the time for the boat ride. They will assign for you. Ours were right after getting of the cruise which was good and time-saving. The glass bottom boat is worth to ride. You can see many different kinds of fishes. The only concern is you can’t choose the time for the boat ride. They will assign for you. Ours were right after getting of the cruise which was good and time-saving. Overall a great tour. The island is stunning. The glass bottom tour was great especially feeding the fishes. As its closer to the mainland compared to outer reef, the reef itself is not that spectacular. Overall a great tour. The island is stunning. The glass bottom tour was great especially feeding the fishes. As its closer to the mainland compared to outer reef, the reef itself is not that spectacular. on the day of the trip, the weather isn't that great but my boyfriend and I enjoyed it. good experience. on the day of the trip, the weather isn't that great but my boyfriend and I enjoyed it. good experience. thanks klook for your service great deal with klook. thanks klook for your service great deal with klook. Overall good experience. Overall good experience. Couldn't get refund of the cash coupon but was not noticed before I made the decision. Sad. Couldn't get refund of the cash coupon but was not noticed before I made the decision. Sad.